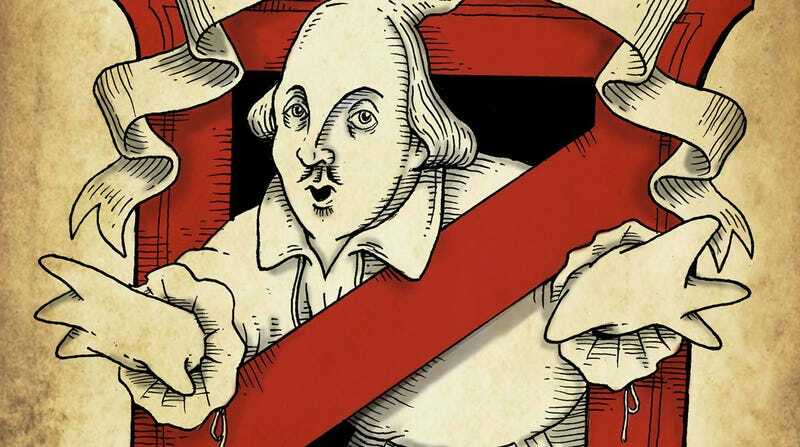 When something is well-written, it’s not uncommon to hear someone refer to it as “Shakespeare.” For example, hypothetically, someone might say, “The script for Ghostbusters was so good, it’s like Shakespeare.” But what if Ghostbusters actually was written by Shakespeare? That was the question posed by Jordan Monsell. And not only did he pose it, he answered it. His new book Ministers of Grace: The Unauthorized Shakespearean Parody of Ghostbusters takes Ghostbusters, originally written by Dan Aykroyd and Harold Ramis, and translates it into iambic pentameter and other kinds of period prose. The result is the same Ghostbusters you know, but in a way you never expected. For a taste, here’s a brief excerpt from Ministers of Grace. It’s when the Ghostbusters go out on their first call. Plus, Aykroyd himself gave Monsell a quote for the book. Ministers of Grace is now available on Amazon and Monsell is doing book signings in the Los Angeles area. Visit here for those dates.